Are you struggling with a complicated acid-base disturbance case? 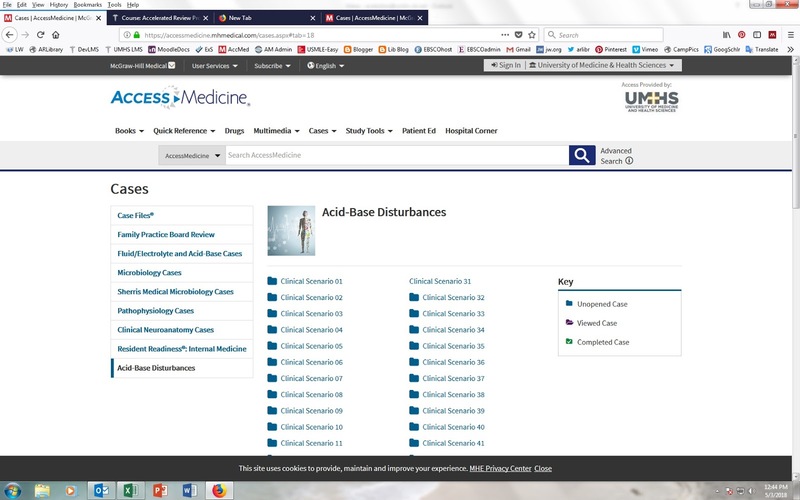 AccessMedicine now includes 58 new Acid-Base Disturbance Cases to help both students and practicing providers hone their skills and master these difficult concepts. 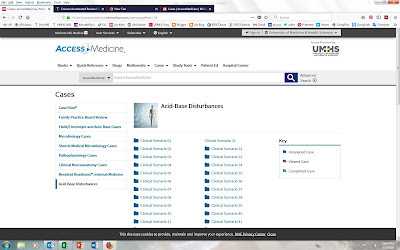 These cases are progressive, complex cases appropriate for the advanced medical student and resident level physician covering double and triple acid-base disturbances. The questions are multiple choice and build on each other so they must be answered before moving on to the next page. Each question provides the user with a rationale for the correct answer to maximize learning. Navigate to the Hospital Corner or Cases tab in the main navigation bar to access the cases. As with all the other AM cases, users must be logged into their MyAccess personal account to answer the questions. Contact the library if you need help with your personal MyAccess logins for AccessMedicine.